The Young Seafood Leaders’ Network will host their first meeting in Grimsby at The Future of Foods careers event (14 February) being held at The Grimsby Institute. Seafish, the public body that supports the £10bn UK seafood industry, is behind the new network aimed at nurturing and developing young talent within the seafood industry. Since its launch at the UK Seafood Summit in 2018, the network has attracted around 40 young seafood professionals from around the UK, all keen to meet, share knowledge and develop their career. Marcus Coleman, CEO of Seafish said: “I’ve been amazed at the response we had from people to join the network, which goes to show it was much needed. 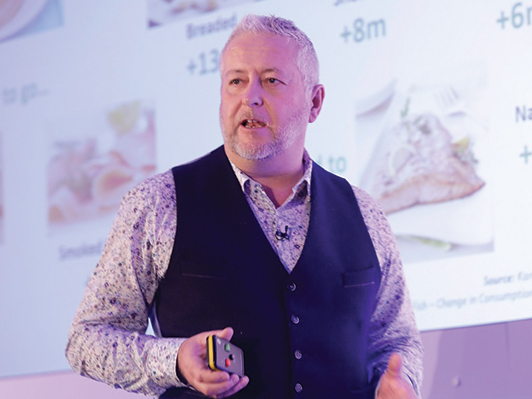 The guest speaker at the inaugural meeting is Simon Smith, Managing Director, Seachill Ltd and The Saucy Fish Co., rated as one of the coolest brands. The network is open to aspiring seafood leaders between the ages of 25 and 40 years of age who are passionate about their own development and that of the UK seafood industry in general.